With a lot of time,not just over the festive season, but also in normal day to day life spent sitting,you'd think we'd be very good at it. Unfortunately that's not the case. Now if you work in an office or just spend a lot of your leisure time seated you'd probably think that there could be little done to help that. Thankfully that's not the case and some very progressive thinkers have come up with the concept of active sitting as embodied by the "Evolution Chair". If you're a regular reader of Gametrender then you'll probably be spending a good portion of your life seated, either working with your office based computing setup, meddling with your portable devices or gaming avidly on your platform of choice. Like us you're not going to want to sacrifice work or game time unless you have to. Unfortunately you're probably sat in a conventional chair that is definitely having some sort of negative effect on your general well being. It's not just eventual back problems that can arise through a sedentary unthinking posture, poor core muscles, reduced lung capacity through continuous lumbar compression and gradual spinal atrophying all eventually occur through traditional seating. 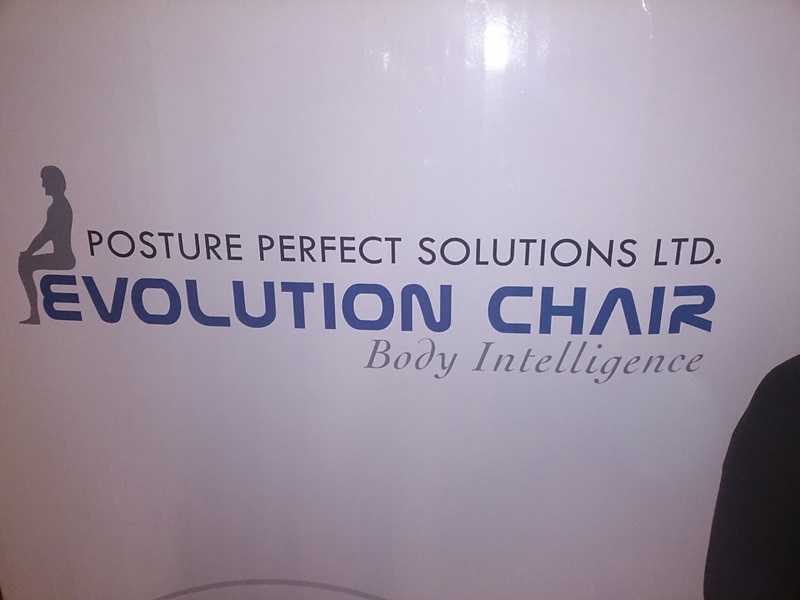 We've been asked to review the Evolution Chair and were very keen to engage with it, essentially anything that can help our readers and indeed ourselves to maintain health and stick to our avid tech activities is a good thing. The concept is very sound with the foundation of the seat being very similar to a Swiss Ball that you might expect to find in a gym. The benefits of these have been long known with a lot of your core muscles engaged to maintain posture while sitting on or using these for exercise. With the JD Harris product the "ball" has been carefully selected to not only meet most height specifications but is also made from very sturdy non puncture material. 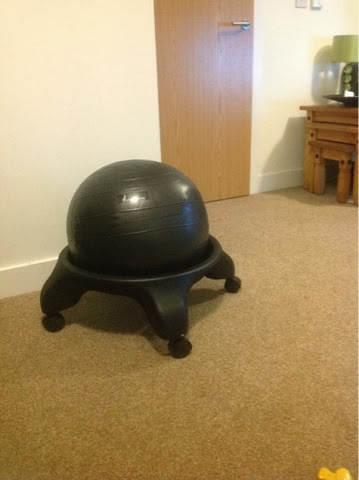 It can also be used as a standalone Swiss Ball when removed from the base. The base itself is also very tough and able to have extension castors easily added to it to adjust for differing heights. The wheeled base also allows for very easy movement of the chair. I've used the chair extensively through the festive season,thankfully holidays have certainly been on the cards so I haven't had the chair in the office. But a variety of television leisure time and console gaming has been conducted from the perch of the active seat. It certainly is a different experience and doesn't encourage lounging. Core muscles are definitely engaged and a more natural and healthier method of sitting is encouraged. One of the bigger benefits I found is the fact that I'm very alert and more ready for whatever activity I'm doing when using the a Evolution Chair. Sat on a couch or easy chair and you'll start to slump,relax and slide down, not exactly the most dynamic position to be in and your alertness levels will wane with this somnolent almost sleeping seated position. Aside from the lumbar benefits of this seat you'll find the expression "edge of your seat" rings true with your seated activities being fully engaged in with active sitting bringing it about. If your lifestyle,work or leisure wise,involves prolonged sitting then the Evolution Chair will allow you to sit in a healthier and more engaged manner. Merry Christmas from Gametrender. We've covered a lot of apps this year and definitely a good swathe of music creation apps. Just doing a few last minute research for our next year bumper load of app reviews and we came across a great Google Christmas Egg (Easter Egg) which works great on Android, IOS, and even desk top as long as you're using the Chrome Browser. It's no music app but just type in "Let's go Caroling" into any Chrome toting browser for some festive caroling fun. It's not exactly carollers at your door,but nor is it losing your virtual money to the best PKPKT, so once again have a good festive season and enjoy if you've got any extra festive cash left over. Coming to the end of 2013 with all kinds of great phones gracing underneath palms of techno lovers and Everyman you'd wonder if there was any need for the "age-old" practice of phone unlocking anymore. And more importantly with quad core Nvidia capable high rom/ram handsets readily available is this dark art now not only redundant but far beyond ordinary people's reach? We're not going to delve into every handset available but are going to hone this article on phone unlocking down to just Android devices. We hope that the most popular phone OS on the planet is in many of our reader's hands and that you'll find this guide helpful. If you've searched out this article you'll probably already have a fairly good idea about why you want to unlock your phone. In case you don't, then here are some of the main reasons why people choose to unlock. You might be able to use your phone globally with unlocking. A handset is often locked to the country of purchases's GSM band. Unlocking can give you (dependant upon the handsets antenna capability) access to 4G,LTE, quad band etc. Dual sim adaptors are able to be used. If you're a frequent traveller with a sim locked phone the se adaptors might not be able to be used. So international roaming charges and overseas data charges could be astronomical. Using a dual sim adaptor in an unlocked phone allows you to use the country of destinations cellular network saving you big bucks. In the long run the value of your phone is increased by unlocking. Eventually you'll probably want to sell your cellphone, ebayers and other secondhand mobile outlets often favour unlocked Android phones and this can add on to the value of the device. Probably the main reason for unlocking your phone is the fact that you can now choose whichever network you want. You might not be locked into a long term phone contract so can pick and choose your network based on cost and service coverage. (Plus all the extra bells and whistles that a money hungry contract provider might throw at you). You know those movie caveats that state boldly: "Don't try this at home!"? Well with modern handsets you're risking bricking a £500/800 Dollar handset. So before you set off just be aware of the risks. And apart from making your tech fetish a particularly pricy paper weight or a rather weak part of your new dry brick wall there are some other hidden dangers if you choose to unlock. For example Google does actually update their OS on a very frequent, if irregular, basis. At the time of writing Android KitKat has yet to make its way to my Xperia Z. Now if the phones unlocked the carrier delivered update might never make its way to the handset and I might be left with the onerous task of side loading or going down the Cyanogen route for Samsung unlocking. You've also got to watch out for warranties. Sometimes these can be voided by unlocking which is definitely not a desirable thing. Luckily progressive legislation in the states is working toward a more user friendly solution. Just a few days ago Reuters reported:"
Major U.S. wireless carriers on Thursday pledged to make it easier for consumers to "unlock" their mobile phones for use on competitors' networks, responding to pressure from consumer groups and the top U.S. communications regulator." 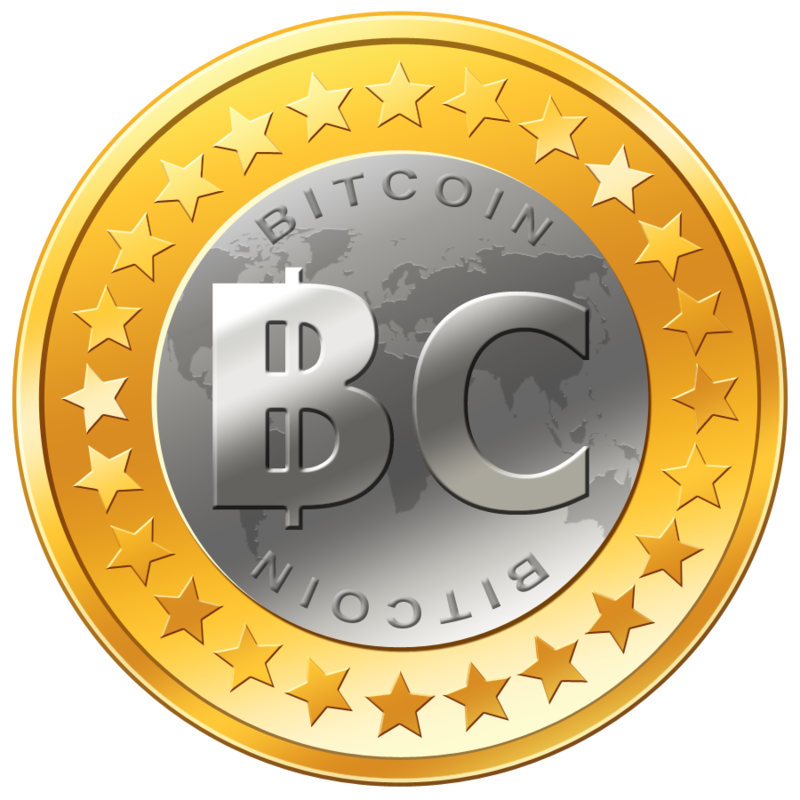 .Okay if you've just come here then apologies for all the preamble, and if you've boned up on our unlocking facts then welcome to the nub of this article. Unlocking USA Carrier Mobiles: This info is constantly changing and updating so if you're a USA reader and you know different then please say so in the comments below. If you need to unlock your phone, call AT&T or T-Mobile and ask them. Expect a positive response if your account is in good standing, but for brand new phones you might get a negative response. This should be free if you give them a good reason such as an extended trip abroad or poor coverage in the areas that you're likely to use the device. T-Mobile has a simple, easy to read unlocking policy which you can find on their website. Like May of the more occult Android practices you'll want to strongly consider rooting your phone, in which case most recommendations will point toward CyanogenMod which will give not only a lot more user control over your phone but also more tools for Sim unlocking. This is quite an easy way to access the Sim programming that needs to be adapted for the final unlocking. Of course referencing back to the benefits of which antenna your phone uses and finding out if it is physically capable of your smartphone of using alternate networks. If nothing else the Cyangen forums will give you a slew of other useful smartphone info not just on cell phone unlocking. Now before you continue just take a quick look at your Android phone settings. An unlock might be only a quick tick box away. If not then arm yourself with these: your make, model and IMEI number. And prepare for some forum searching to see if you can find the unlock code. 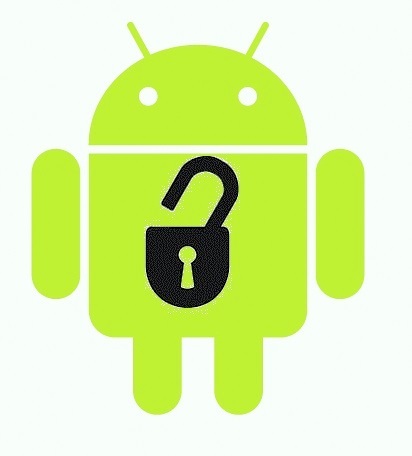 Yes, there are even apps for unlocking your Android Smartphone! Check out GalaxSim Unlock if you're an S3 user, and prepare to do a bit of research if you're using another handset. But be assured the apps are out there! Finally if this is all too tedious for you the pay for unlock root can be considered. We hope this helps you get more joy from your mobile, remember no matter what they say it's not illegal and it's your SEO make the most of it. In the latest Minecraft Pocket Edition update this December we've got another slew of great Minecraft portable features to keep us going through the cold winter months. With a multitude of new blocks,the ability to breed animals and Minecarts (did someone say Minecraft Rollercoasters of Epic proportions) there's a lot to the update. Now that Xbox One has hit the market we're eagerly waiting to see how the superior sensing power of the new Kinect Is going to improve future music games. Xbox One is of course a more powerful version of its predecessor, but it's the multi person and more importantly multi digit sensing capability of the Kinect that is going to make games like Rocksmith really sing! We know you've been waiting for the Clash of Clans update for at least a month now,we'll here is what to expect from Supercells best game. And yes Santa's surprise is back! ✔ Clash is now fully localized in Korean!